The Swing Solution is a full 18 piece big band with both a "girl" and "boy" vocalist. 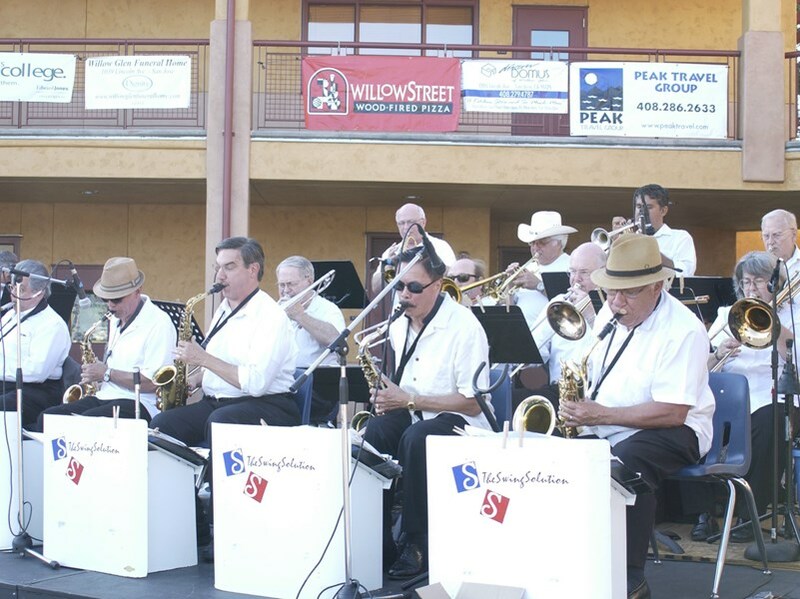 We play all the classic big band tunes along with show tunes and songs from the swing revival of the 90's. We are the perfect band for wedding receptions, corporate events and all your private party needs. When the "Cardinal" hires a swing band for their dance events, they look to us. 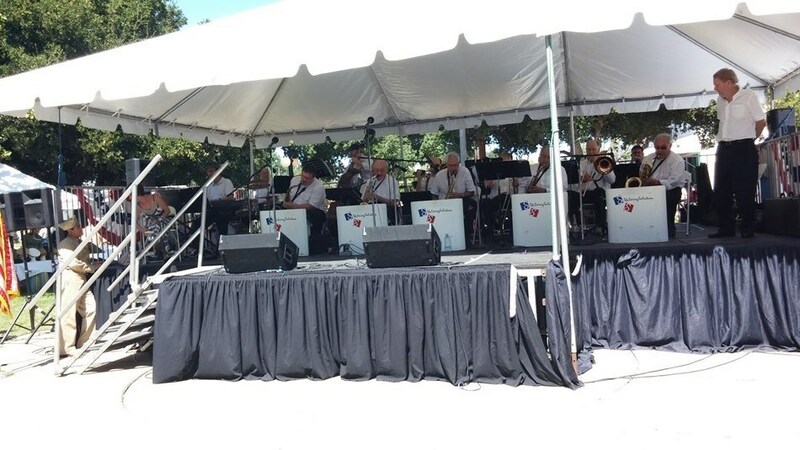 We are regularly featured in the "Spirit of '45" event held in San Jose's Kelly Park in early August. 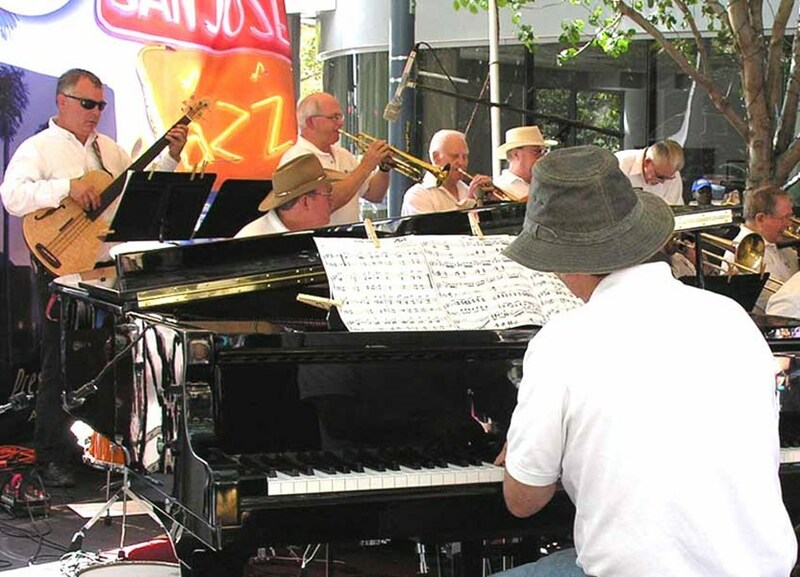 and prior to that were a regular part of the San Jose Jazz Fest. Our songbook includes the charts of Miller, Basie, Ellington, Sinatra, Dorsey, Setzer and Peggy Lee. Arrangers include Gray, Wolpe, Riddle, May, Nestico, Hefti and more. There are over 800 charts in our book. We have many Latin tunes too. If you request a song ahead of the gig that we don't have, we can probably get it and have it worked up in time for the gig because we hold regular rehearsals. Please note The Swing Solution will also travel to Santa Clara, Campbell, Los Gatos, Milpitas, Sunnyvale, Cupertino, Saratoga, Alviso, Los Altos, Coyote, Moffett Field, Mountain View, Holy City, Mount Hamilton, Redwood Estates, Fremont, Palo Alto, Stanford, Newark, Boulder Creek, Portola Valley, Menlo Park, Sunol, Brookdale, Ben Lomond, Atherton, Morgan Hill, New Almaden, Union City, La Honda.